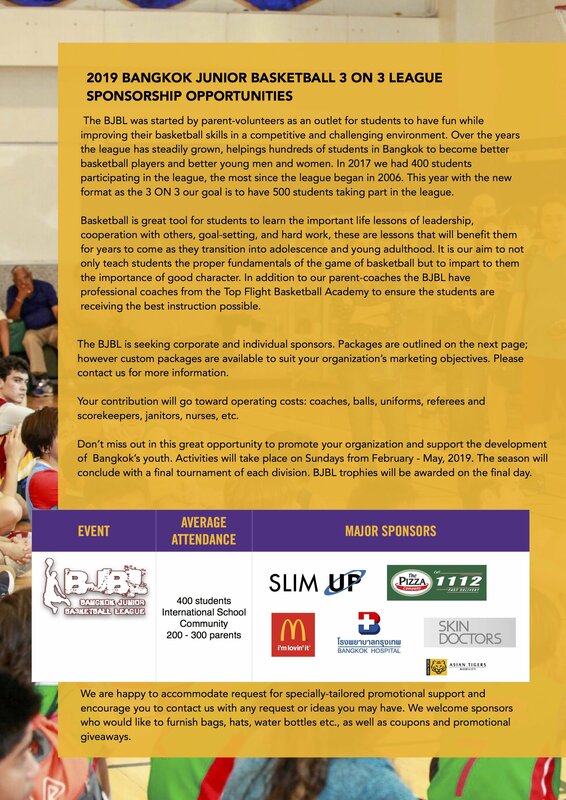 Bangkok's best youth community basketball league, The BJBL returns for its 14th season with a new 3 ON 3 format at NIST International School. This year we are expecting over 400 players and their families from the Thai and International School communities to participate in the league. Games are played every Sunday from 08:00am-15:30pm with 8 divisions for boys and girls ages 5-18 years old. As BJBL is a community group run by parents and volunteers, the league requires funds for essential items such as basketballs, uniforms, trophies, and medals. The league also needs paid staffers such as referees, nurses, scorekeepers, for this we need sponsors. 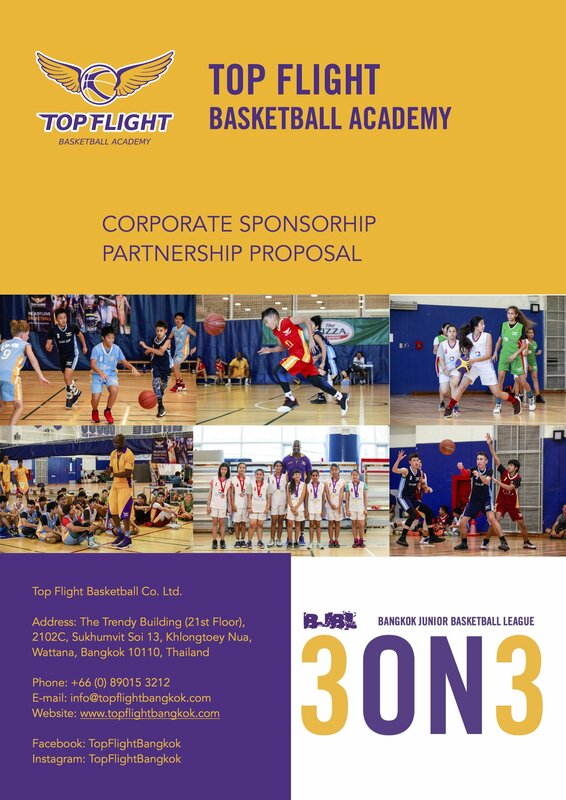 Sponsoring the BJBL gives sponsoring companies great exposure to the expat, domestic, and international school communities in Bangkok and throughout Thailand, our network reaches over 6,000 families monthly on our websites (www.topflightbangkok.com), e-newsletters, quarterly publications. This year we have several new sponsorship packages with wonderful benefits for companies. Packages are budgeted from 5,000 THB - 100,000 THB of various size with different levels of exposure to our community. 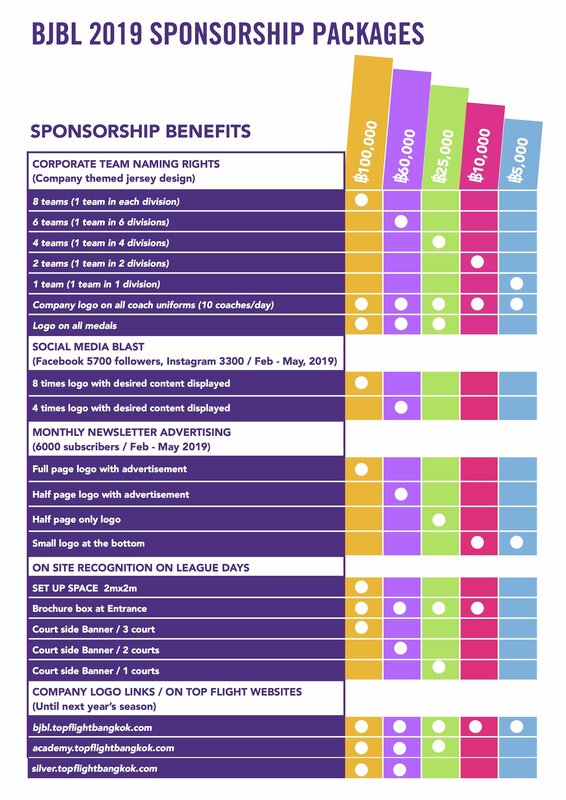 Please see the attached sponsorship document that details the benefits of sponsoring our league. Your sponsorship would be invaluable to the league this year and very much appreciated. It would also be a great CRM initiative for your company. We hope that you will join us for what promises to be another great season.